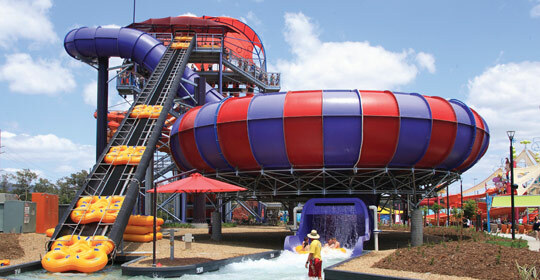 Van Stone Conveyor, Inc. is the only company in the world with the singular purpose of engineering and manufacturing waterpark and amusement conveyor systems. With over 300 installations around the world, Van Stone is the recognized leader in innovation, quality and service. Van Stone introduced the first 100% stainless steel slider bed belt conveyor, the first vertical chain lift, the first raft launch conveyor, the first river lift system for guest transportation, and their newest product, the innovative Vertical Hybrid Conveyor. At any given moment, a Van Stone Conveyor system is operating somewhere in the world, enhancing the guest experience.